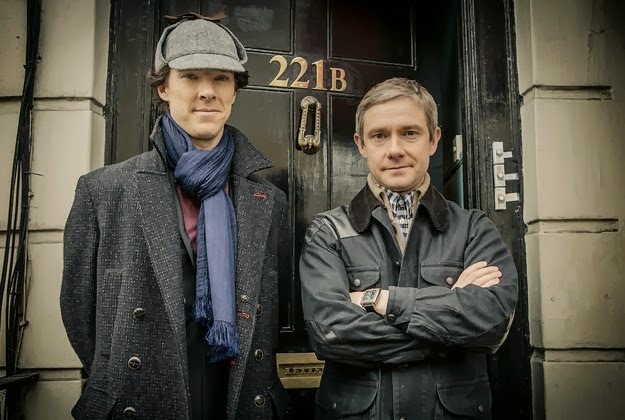 Steven Moffat says SHERLOCK Season 4 will be "devastating" | Warped Factor - Words in the Key of Geek. Steven Moffat says SHERLOCK Season 4 will be "devastating"
After Sherlock's success at the Emmy's on Monday night executive producer Steven Moffat has offered up an interesting tease regarding Season 4 of the show. "We have a plan to top it — and actually I do think our plan is devastating. We practically reduced our cast to tears by telling them the plan. Honestly, Mark [Gatiss] and myself are so excited with what we've got coming up, probably more excited than we've ever been about Sherlock. … Honestly I think we can [top the last season]." At the end of Season 3 we were left with the unexpected return of Andrew Scott's Moriarty (or were we?). Could it be his return that causes the devastation? Why do I think that Mary Watson (Amanda Abbington) will be involved? Why am I thinking "poor John"? I hope I'm wrong. What do you think Moffat has up his sleeve for Sherlock?